Elissa Landi (born Elisabeth Marie Christine Kühnelt, December 6, 1904 – October 21, 1948) was an Italian-born Austrian actress and novelist who was popular as a performer in Hollywood films of the 1920s and 1930s. She was noted for her aristocratic bearing. Born Elisabeth Marie Christine Kühnelt in Venice to Austrian military officer Richard Kühnelt and his wife Caroline Kühnelt. She was raised in Austria and educated in England. From 1928 to 1936 Landi was married to John Cecil Lawrence, and from 1943 to 1948 to Curtis Kinney Thomas (1905-2002). Her first ambition was to be an author, and she wrote her first novel at the age of twenty. She would return to writing during lulls in her acting career. She joined the Oxford Repertory Company at an early age, appearing in many British and American stage successes. During the 1920s she appeared in British, French, and German films before travelling to the United States to appear in a Broadway production of A Farewell to Arms. She was signed to a contract by Fox Film Corporation (later 20th Century Fox) in 1931. She played the heroine in Cecil B. DeMille's The Sign of the Cross (1932), but was overshadowed by Claudette Colbert who played the flashier role of Poppea. 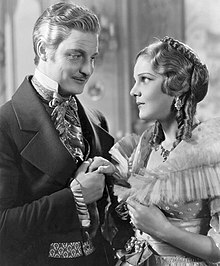 She was paired successfully with some of the major leading men, such as David Manners, Charles Farrell, Warner Baxter, and Ronald Colman in romantic dramas such as Body and Soul (1931; which also featured Humphrey Bogart) before appearing in the box office hit The Count of Monte Cristo (1934) with Robert Donat. Her contract with Fox was abruptly cancelled in 1936 as a result of her refusal to accept a particular role. Metro-Goldwyn-Mayer signed her to a contract and after a couple of romantic dramas she played the cousin of Myrna Loy in the very popular After the Thin Man (1936). After only two more films she retired, in 1943. She became a naturalized U.S. citizen in 1943, and dedicated herself to writing, producing six novels and a series of poems. She had published her first novel as early as age nineteen and continued to write and publish novels at the height of her movie fame and continuing for the rest of her short life. She died from cancer in Kingston, New York at age 43, and was buried at Oak Hill Cemetery in Newburyport, Massachusetts. Elissa Landi has a star on the Hollywood Walk of Fame for her contributions to Motion Pictures, at 1615 Vine Street. ^ Obituary Variety, October 27, 1948, page 55. ^ "(photo caption)". The Brooklyn Daily Eagle. New York, Brooklyn. January 4, 1943. p. 8. Retrieved January 6, 2016 – via Newspapers.com. Wikimedia Commons has media related to Elissa Landi. This page was last edited on 22 March 2019, at 05:53 (UTC).